My father was a Jewish immigrant who settled in Argentina, and was left to his own devices at the age of 15. My mother was a teacher, herself the daughter of a poor immigrant family. For both my mother and my father, no sacrifice was too hard to make sure that their three sons (I was the middle one) would go to university. I wasn’t a particularly brilliant student, but on the other hand I was very active in Student Union affairs and in student politics. It was in this way that I met my wife, Celia. After graduation, we married, and took a full year off in a most unusual and romantic honeymoon, hitch-hiking our way through most countries in Europe, including a couple of months working in Israel kibbutzim. As we returned to Argentina, I started seriously to work towards a doctoral degree under the direction of Professor Stoppani, the Professor of Biochemistry at the Medical School. My PhD thesis work was done with no economic support. Both Celia and I worked part-time doing clinical biochemistry, between us earning just enough to keep us going. My thesis was on kinetics studies with the enzyme aldehyde dehydrogenase. When that was finished, I was granted a British Council Fellowship to work under the supervision of Malcolm Dixon. There, in the Department of Biochemistry at the University of Cambridge, I started a project on the mechanism of metal activation of the enzyme phosphoglucomutase. It was through that enzyme that I started to collaborate with Fred Sanger. I have described this collaboration in some detail previously (Lynen Lecture; Miami Winter Symp. Proc., In: “From gene to protein: translation into biotechnology”; Ed. W. Whelan, Academic Press, 1982). It was after completing my PhD thesis that I took a short-term appointment with the Medical Research Council in Sanger’s group, and then returned to Argentina for a period of two years. During that period I extended my studies of mechanisms of enzyme action to the enzymes phosphoglyceromutase and alkaline phosphatase. It was then that I had my first experience at directing other people’s work, including my first research student. The political persecution of liberal intellectuals and scientists manifested itself as a vendetta against the director of the institute where I was working. This forced my resignation and return to Cambridge to rejoin Fred Sanger, who by then had been appointed Head of the Division of Protein Chemistry in the newly-formed Laboratory of Molecular Biology of the Medical Research Council. Following his suggestion, I shifted my interests from enzymology to immunology. The evolution of my research in this area is described in the Lynen Lecture as mentioned above and in the Nobel Lecture. Born 8 October 1927, in Bahía Blanca, Argentina. Married in 1953, to Celia (née Prilleltensky). No children. Honorary member, Scandinavian Immunological Societies (1970); Member, European Molecular Biology Organization (1974); Fellow of the Royal Society (1975); Honorary member, American Association of Immunologists (1979); Fellow of Darwin College, Cambridge (1980); Honorary Fellow of Fitzwilliam College, Cambridge (1982); Foreign Associate, National Academy of Sciences, USA (1981); Honorary Fellow, Royal College of Physicians (1983); Foreign Honorary Member, American Academy of Art and Sciences (1983); Member of the Deutsche Akademie der Naturforscher Leopoldina (1983); Académico Correspondiente Extranjero of the Real Academia de Ciencias Exactas, Fisicas y Naturales, Madrid (1984). Prize Herrero Doucloux of the Asociación Química Argentina (1957); CIBA Medal and Prize (1978); Lewis S. Rosenstiel Award, Brandeis University (1979); Avery-Landsteiner Prize, Society for Immunology (1979); V. D. Mattia Lectureship Award, Roche Institute (1979); Adolph Rosenberg Award, University of Miami (1980); Wolf Prize in Medicine, Wolf Foundation, Israel (1980); Louisa Gross Horwitz Prize, Columbia University (1980); Robert Koch Prize and Medal, Germany (1980); Royal Society Wellcome Foundation Prize (1980); Madonnina Award, Fondazione Carlo Erba, Milano (1981); William Bate Hardy Prize, Cambridge Philosophical Society (1981); Jimenéz Díaz Memorial Award, Fundación Conchita Rabago de Jimenéz Díaz, Spain (1981); General Motors Cancer Research Foundation Sloan Prize, USA (1981); The Gairdner Foundation Annual Award, Canada (1981); Krebs Medal, Federation of European Biochemical Societies (1981); Brown-Hazen Memorial Award, Albany, New York (1982); Lynen Medal, Miami Winter Symposium (1982); Gerónimo Forteza Medal, Valencia, Spain (1982); David Pressman Memorial Award, U.S.A. (1982); Biochemical Analysis Prize 1982, German Society for Clinical Chemistry (1982); Karl Landsteiner Award, American Association of Blood Banks (1982); Royal Medal, Royal Society (1982); XI International Congress of Allergology and Clinical Immunology Award (1982); Rabbi Shai Shacknai Memorial Prize, Hebrew University, Jerusalem (1982); Philip Levine Award, American Society of Clinical Pathologists (1983); Franklin Medal, Franklin Institute, U.S.A. (1983); Mallinkrodt Award for Investigative Research, Clinical Ligand Assay Society, U.S.A. (1983); Carlos J. Finlay Prize for Meritorious Work in Microbiology, UNESCO (1983); Common Wealth Award in Science, Sigma XI Scientific Research Society, U.S.A. (1983); Dale Medal, Society for Endocrinology (1984); Albert Lasker Basic Medical Research Award, Albert and Mary Lasker Foundation (1984); John Scott Award, Board of Directors of City Trusts, Philadelphia, U.S.A. (1984). 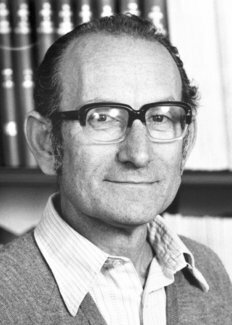 César Milstein died on March 24, 2002.